Washington Monthly ranks Linfield "Best Bang for the Buck"
For the second year in a row, Linfield College was ranked as the top liberal arts college in Oregon and Washington on Washington Monthly’s “Best Bang for the Buck” list. 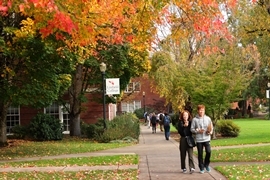 Washington Monthly also recognized Linfield as one of the top liberal arts colleges nationally, ranking it 81st out of 240 liberal arts colleges overall. Earlier this year, researchers from Cal-Berkeley, Stanford, Brown and the U.S. Treasury Department found that Linfield outpaced virtually all private colleges in the Pacific Northwest at admitting students from disadvantaged families and helping them move up the economic ladder. 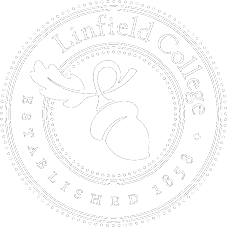 A 2015 study from The Economist magazine also ranked Linfield 27th nationally out of 1,275 colleges and universities when it comes to the economic value of its degree. This entry was posted in Latest News and tagged Best Bang for the Buck, Scott Bernard Nelson, The Economist, Washington Monthly. Bookmark the permalink.